Grow your audience with content. In short, sales. You want to make sales – whether that means convincing someone to buy a product/service, convince a customer to stay a customer, or even just getting the word out that your company exists. 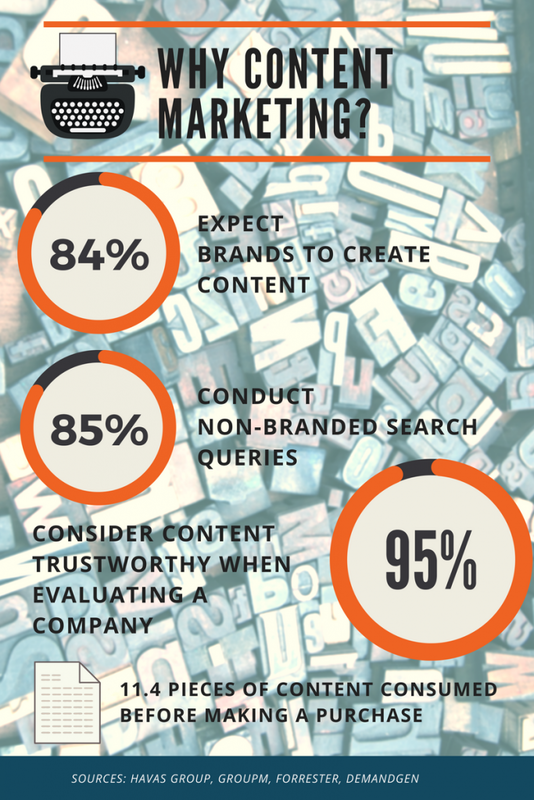 Here’s where content marketing comes in with some impressive statistics. In a nutshell, content breeds trust, and trust results in sales. Yes, it’s really that simple. So what strategies can you use to increase the depth and breadth of your content marketing strategy? Your company might need a boost to really get your content “out there” amongst the masses – and Pressboard offers a perfect solution. Place your content in leading, trusted, and widely distributed publications in order to generate a following. Whether articles, videos, or infographics, you can repurpose your existing content and use it to expand your reach. Pressboard’s reporting dashboard also gives you key insights into who is reading, and engaging with your content – you can utilize these metrics to hone your content towards your preferred audience. SEO is not content – we know – but it’s still necessary to a content marketing strategy. Ask yourself: “How is anyone going to see my content if the search engines don’t help them get to it?” If you’re not implementing SEO correctly (or at all), you’re neglecting a key tool to garner viewers specifically looking for your offering. However, SEO isn’t as straightforward as it used to be – you can thank algorithms for that. Gone are the days where you could stuff some keywords into a blog and walk away. According to Andrey Lipattsev, Search Quality Senior Strategist at Google, high-quality content and link building are the two most important signals used by Google to rank your website for search. SEO needs a strategy in order to work correctly, one that involves understanding your audience and what they’re searching for, then ensuring you are there with high-quality content that they will want to read/watch. 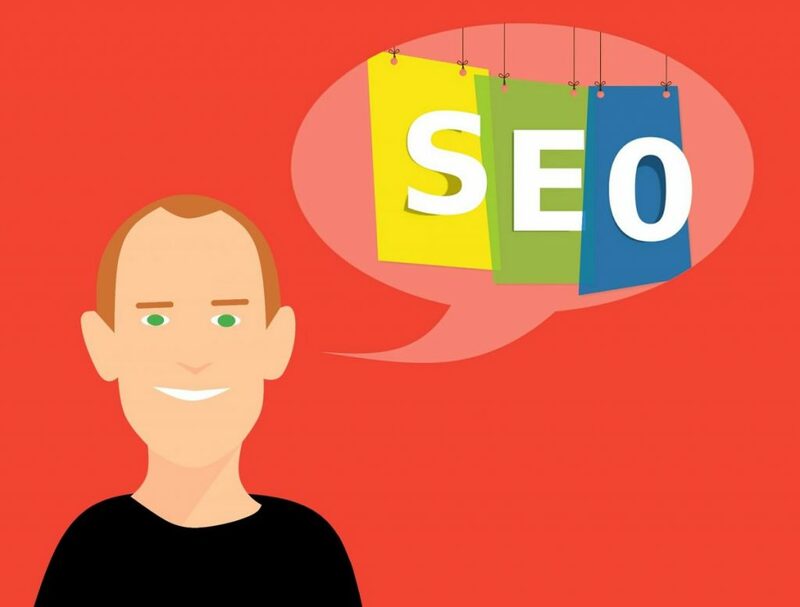 And SEO is more about content than you know – without high-quality pages that offer a real benefit to readers you can’t hope to gain backlinks and shares, and therefore won’t rank as high on search engine rankings. Bonus tip: Already have a blog? Updating and republishing old blog posts with new content and images can increase organic traffic by as much as 111%. User-generated content is a powerful, oft-overlooked method for creating content. It only costs your time, and yields significant results. Nothing, we repeat NOTHING, plays better for your audience than content created by your audience (also known as human-to-human marketing). Much like how when looking for a new product, service, or experience we will take a review over a webpage, or a friend’s advice over a salesperson’s, your audience is significantly more likely to stick around when people like them are behind some of your content. You can give your users a “voice” by engaging influencers, encouraging user-generated content socially, and by using user-generated content-curation tools like Crowdriff to craft web pages, blogs, social posts, and even create physical marketing materials to show off your brand, destination, or product. Brand messages are reshared up to 24x more when disseminated through your employees versus published to your brand page. Employee-shared content gets 8x more engagement. Employees tend to have up to 10x more followers than a brand’s corporate account. 53% of decision-makers have eliminated a brand or vendor from consideration because of something they “did or did not” find out from an employee online. Don’t expect potential customers to take your word for it, harness the power of UGC! Strategy #4: Video, Video, Video! If that doesn’t have you ready to embrace video, what will? Including video in blogs, social posts, on your website and in email marketing can make all the difference in engaging users, converting viewers, and pushing your content further out into the digital universe. Combining your content marketing efforts (user-generated video, for example) can leverage the best of both worlds to create a powerhouse of a content strategy – give it a try! Sharing: Don’t just share your own content, share others! This could be a cool Instagram photo, Facebook post, or Tweet. It doesn’t have to be about your product, per say, but it should be relevant. Engagement: Start conversations, help answer questions, respond to inquiries. You want your brand to be the go-to that people think about, for that you need to have a presence (rather than just a wall of posts). Regularity: People are online at all different times of the day, so your brand should be too – at least during the times when your key demographic is active. This means you can’t just jump on first thing in the morning, bang out a few retweets and get on with your day – ideally, you have someone who can dedicate at least part of their day to social posts and engagement. Growth: Enhancing your social media reach and encouraging more content views means constant growth. Every few months, take a step back and review – what is working and what doesn’t? What types of posts get the most engagement, and what types the least? Adjusting your social strategy is a key part of keeping your overall content marketing strategy honed and effective. But don’t stop there – use the same questions to look at your complete content marketing strategy to ensure it is continuing to work effectively! What are your content marketing strategies? Comment below, or tag us on your preferred social channel with your great ideas!